After several good wash days, I was bound to have one not so good. 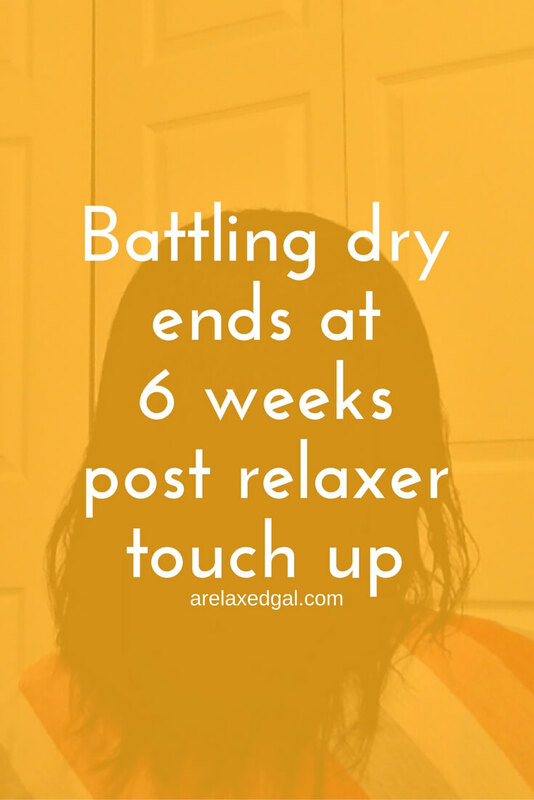 I had started a battle with dry ends that just couldn't be quenched by moisturizing and sealing. My first thought is I need to clarify. It had been at least four weeks since I shampooed and thought I may need to get rid of some product buildup. My second thought was it could be protein overload due to using a keratin oil conditioner for several weeks straight. Here's where things started getting hairy. I went to the store to find my go to clarifying shampoo SheaMoisture African Black Soap Cleansing Shampoo. I went to about four stores, a couple twice in the week, and all of them were out. I didn't have time to keep driving all around Tampa so I decided to improvise. My improvising included pre-pooing with an apple cider vinegar (ACV)/water mix and Eden BodyWorks Jojoba Monoi Deep Conditioner. I sprayed my scalp and hair with the ACV/water mix because ACV has cleansing properties. When spraying I focused on my scalp and ends and then put the deep conditioner on top. I left this on for about 30 minutes. After rinsing I cleansed with the last of my As I Am Cleansing Pudding focusing on my scalp. To finish up I applied and left on for 5-10 minutes Suave Natural Infusions Moisturizing Conditioner. So far everything felt good. I t-shirt dried for an hour, air dried for another hour and then applied my leave-ins of Eden BodyWorks Coconut Shea Leave-In Conditioner and coconut oil. I didn't want to use my blow dryer, but instead air dried overnight with my hair in a traditional wrap. I guess I didn't do the wrap correctly because in the morning one side of my hair was smooth and other wasn't. My ends were also feeling dry which usually isn't the case. My hair was also very damp at the roots so I finished drying using the low heat/high fan setting on my blow dryer, moisturized and sealed. My ends still felt dry, but the top half of my hair felt soft and moisturized. At the end of the day, my ends were still dry though they felt very soft. I didn't want to apply any more product that night. I decided that if my ends were still feeling dry the next day I would co-wash and dry them before bed. Guess what I ended up doing (sigh). After drying my ends the moisture was back! I moisturized and sealed with Eden BodyWorks Coconut Shea Leave-in Conditioner and sunflower oil. 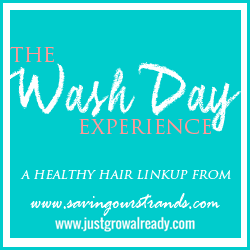 I'm looking forward to my next few wash days as I'll be slowly getting back to my normal regimen. The wash day after Christmas I'll be bringing back my Hot Head cap during deep conditioning. Two wash days after that I'll be in my new place and plan to christen it with a green tea rinse! I think my hair is shivering in anticipation. What do you do for dry ends? Baggying your ends always helps. I also found that sealing my ends with shea butter helps keep them moisturized for days. Thanks for the suggestion. I'll have to give baggying a try. Glad you were able to get your moisture back! Your hair looks so thick, it's great.